Responding to Pope Francis’ invitation, the highest civil and ecclesiastical authorities of South Sudan will participate in a two-day spiritual retreat at the Vatican on April 10 and April 11. The aim is to bring the leaders closer together and consolidate the peace agreement signed last September to end the country’s civil war. In a press release issued on April 9, the Vatican said the event was “both ecumenical and diplomatic.” It was organized by mutual agreement between the Vatican Secretariat of State and the Office of the Archbishop of Canterbury Justin Welby. According to the Vatican, South Sudan’s civil authorities will be represented by the members of the Presidency of the Republic of South Sudan, “who, under the Revitalised Agreement on the Resolution of Conflict in South Sudan, will assume positions of great national responsibility” on May 12. They are: Salva Kiir Mayardit, president of the Republic, as well as four of the five designated Vice Presidents: Riek Machar, Teny Dhurgon, James Wani Igga, Taban Deng Gai and Rebecca Nyandeng De Mabior. The Vatican reports that the country’s ecclesiastical authorities will be represented by eight members of the South Sudan Council of Churches, who will also take part in the retreat. The retreat will take place in Santa Marta, the Vatican guest house where Pope Francis lives. Archbishop John Baptist Odama, the Catholic archbishop of Gulu, Uganda, and Agbonkhianmeghe Orobator, S.J., president of the Conference of Major Superiors of Africa and Madagascar, will lead the retreat. 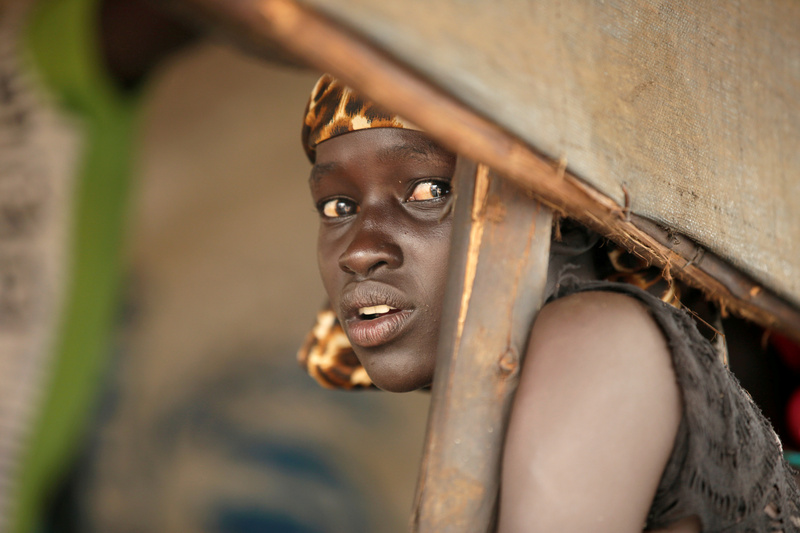 The conflict in South Sudan has caused the deaths of an estimated 300,000 people. From the beginning of his pontificate, Francis has taken a deep interest in supporting the peace process in South Sudan, a country of 13 million people, which gained independence from Sudan in 2011 after a 20-year civil war. But in 2013, another civil war started in the world’s newest state between the government of President Kiir, a member of the Dinka majority ethnic group, and opposition forces of the former, twice-deposed vice-president Riek Machar, a member of the Nuer, the second-largest ethnic group, and leader of the largest political opposition group. Despite a peace agreement in 2015, the conflict continued and caused the deaths of an estimated 300,000 people. Some 3.5 million more have been displaced, around 2 million internally; 1.5 million more—80 percent of them women and children—have fled to neighboring countries, especially Kenya, Sudan and Uganda, and by 2018 South Sudanese made up the world’s third-largest refugee population after Syria and Afghanistan. The conflict caused famine in some areas. A peace agreement was finally reached in Addis Abba in September 2018, but there have been many difficulties in consolidating the peace process. Today’s event in the Vatican aims to support that effort in a significant way. South Sudan is a predominantly Christian country; 60 percent of its population are Christian, mostly Catholic (37 percent) and Anglican. Pope Francis had planned to visit the country with the Archbishop of Canterbury, Justin Welby, last year, but the visit had to be put on hold because of security concerns. This week’s retreat could open the way not only to a consolidation of the peace process but also reopen the possibility of a visit to South Sudan by the pope and the archbishop of Canterbury. The upcoming event at the Vatican is unique since it is a spiritual retreat, but it is not the only similar initiative combining the spiritual and the diplomatic sponsored by Francis. Since becoming pope in March 2013, Francis has used his office in various ways to promote and consolidate peace processes. On June 8, 2014, he invited the president of Israel, Shimon Peres, and the president of Palestine, Mahmoud Abbas, for a meeting of prayer and reflection in the Vatican Gardens, in an effort to foster peace in the Holy Land. Two years later, on Dec. 16, 2016, he invited the president of Colombia, Juan Manuel Santos, and the former president and opposition leader to the peace accords, Alvaro Uribe, in an effort to consolidate those accords.